Most online casinos for U.S. players have had to change their businesses since 2006. That was the year the SAFE Port Act was passed. Jammed into the legislation (almost literally at the last moment) was the Unlawful Internet Gambling Enforcement Act, known infamously as the UIGEA. For online casinos that accept Visa, it dramatically changed the landscape. The Act essentially prohibits banks, credit card companies, and other financial institutions from moving money to gambling sites. This is the reason there are so few online casinos that accept Visa from U.S. players. They have had to either close their doors to the USA, or take other measures. Below, we’ll explain why even those gambling sites that take Visa for deposits may be occasionally unable to process them. You’ll also learn about the alternative measures many sites have taken to accommodate their members. Finally, we’ll give you a list of our favorite online casinos that accept Visa for deposits. A lot of gamblers are understandably frustrated when they are unable to use their Visa cards to deposit money into their casino accounts. Since most gambling sites list their available deposit options, you’ll know upfront whether they accept credit cards. That way, you can make arrangements to use another funding source, or look for online casinos that accept Visa. The problem is, even sites that normally accept credit cards may still be unable to process them on occasion. It’s important to emphasize that the fault does not lie with the casinos. They want to process your deposits. Rather, financial institutions, prompted by the UIGEA, tag payment processors with a specific code. The code classifies them as processors working with gambling sites. Once a credit card issuer has tagged a payment processor as “casino-related,” transactions from the processor become suspect. Your deposit attempts may be rejected. This is why you can often deposit with one Visa card, but not others. Everything depends on whether your card issuer has identified the casino’s payment processor. The takeaway here is that if your first Visa fails, try others. If all of your Visa cards are rejected, you’ll be able to use other options to make deposits. Some are easier to use than others. The most common alternative you’ll see at online casinos that accept Visa are ewallet services. These include eWalletXpress and Neteller, both of which work similarly to Paypal. You can use your Visa card to deposit money into your online “wallet,” and then transfer that money to the casino. It’s not a perfect solution, but it works well. Your other options will likely include (it varies by casino) Western Union and MoneyGram, echecks, prepaid gift cards, ACH payments, and 900Pay. Keep them in mind if you’re unable to use your Visa cards. They’re less convenient than using a credit card, but they’ll usually work. Just because a gambling site takes credit cards for deposits does not mean you should play there. There are many other features to consider. For example, our review process has always taken into account a casino’s software, game selection, bonuses and promotions, and customer support. Here are our top recommendation:. 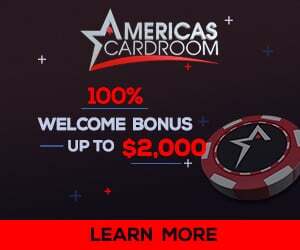 Bodog Casino – When it comes to game variety, Bodog pales in comparison to Rushmore and Cherry Red. However, they offer the casino games most gamblers prefer. We’ve included Bodog on our list for other reasons. First, they maintain a good track record for processing credit card deposits. Second, they have one of the best customer support teams we’ve encountered. Third, their software is engaging and easy to use. And fourth, their sign-up bonus, while small, is instant and lacks a cap. Visit Bodog to receive an instant and unlimited 10% match on your first deposit. Though they are difficult to find, there are top-notch online casinos that accept Visa. We recommend that you start with the sites above. We’ve had a great experience at each of them and are confident you will too.